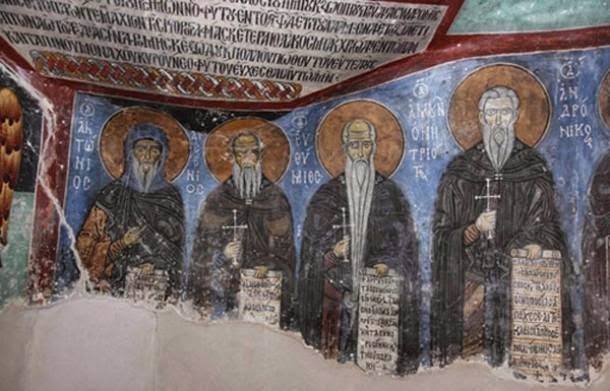 Researchers have discovered that Byzantine monks used asbestos in plaster coatings underlying their wall paintings centuries before the fibrous material began to be used in the construction industry. 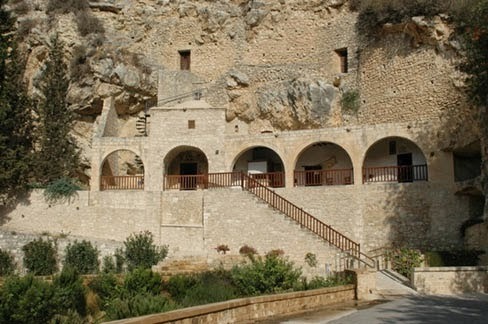 The material, which is now known to cause serious and fatal lung conditions, was found in the 11th century Byzantine monastery of Enkleistra of St Neophytos in Cyprus. Asbestos is a set of six naturally occurring silicate minerals known for their ability to separate into long, flexible fibres. Although asbestos mining began more than 4,000 years ago in the town of Asbestos, Quebec, it was not believed to have been used in construction until the Industrial Revolution of the 19th century. It became a popular material to use as plaster, and in cement, finish coatings and floors, because of its corrosion- and combustion-resistant properties. However, the material is now banned in many countries as prolonged inhalation of asbestos fibres is known to cause serious illness. 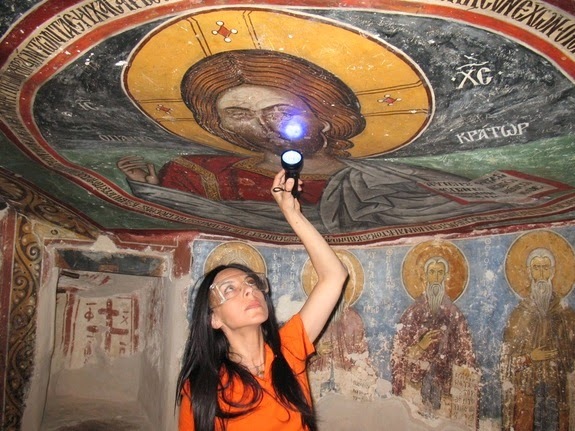 University of California in Los Angeles (UCLA) were investigating the technological process used in creation the 12th-century paintings of the Byzantine monastery in Cyprus, when they discovered asbestos in the finish coating of the plaster underneath a portion of a wall painting. The magnesium silicate material (white asbestos) which they had used provided a smooth layer with a mirror-like surface for painting. "[The monks] probably wanted to give more shine and different properties to this layer," said UCLA archaeological scientist Ioanna Kakoulli, lead author of the new study, published in the Journal of Archaeological Science. "It definitely wasn't a casual decision — they must have understood the properties of the material." 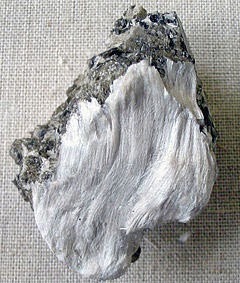 Although asbestos has been known about for thousands of years, it was not believed to have been used in construction. Instead, ancient cultures used asbestos to strengthen earthenware pots and cooking utensils, as well as to make fireproof napkins called ‘shostakeh’, which could be cleaned by tossing them into fire. Archaeological evidence suggests that some shrouds were also made of asbestos, , wherein they burned the bodies of their kings, in order to preserve only their ashes, and prevent their being mixed with those of wood or other combustible materials commonly used in funeral pyres. "It was considered to have magical powers," said Ms Kakoulli. The discovery in Cyprus raises questions about whether asbestos was used in other buildings in Cyprus during the 12th century. Ms Kakoulli said there are plans to revisit wall paintings from other sites to explore this question. In addition, they aim to establish whether they stopped using the fibrous material until the 19th century, and if so, why.